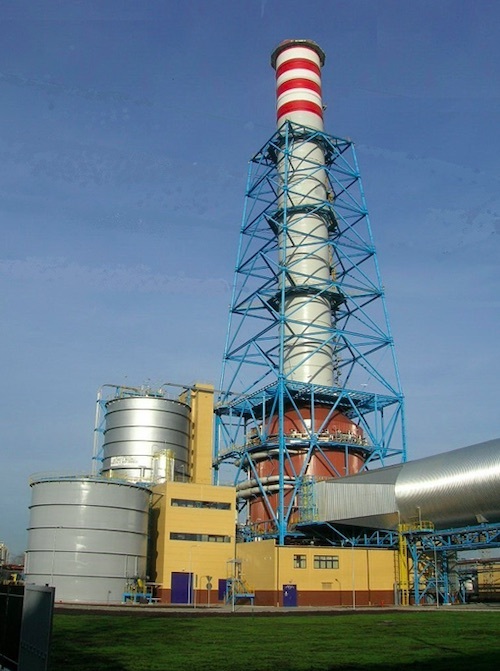 Mitsubishi Hitachi Power Systems, Ltd. (MHPS) has achieved top market share for flue gas desulfurization (FGD) systems in 2018, securing 61.5% of the global market. On March 28, Mitsubishi Hitachi Power Systems, Ltd. (MHPS) signed a Technology License Agreement (TLA) under which it will license production technology for its H-25 Series gas turbines to CSIC Longjiang GH Gas Turbine Co., Ltd. (GHGT). Mitsubishi Hitachi Power Systems, Ltd. (MHPS) has received an order for two H-25 gas turbines for a thermal power station being built by China Resources Power Group, a leading power provider in China, in Zhuhai City, Guangdong Province. MHI Group&apos;s efforts to compete for world-scale LNG liquefaction trains continues to move forward with the completion of successive technical qualification, conducted by oil majors and engineering companies. 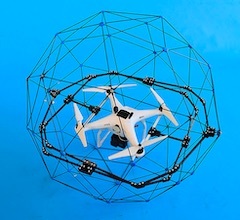 Mitsubishi Hitachi Power Systems, Ltd. (MHPS) is putting into practical service unmanned aerial vehicles (UAVs) to more easily and efficiently inspect the interiors of power plant boilers and other large indoor structures. 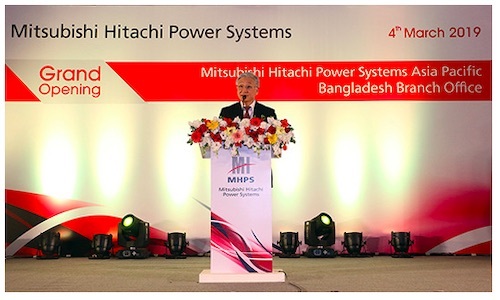 Mitsubishi Hitachi Power Systems, Ltd. (MHPS) has opened a branch office in Dhaka, the capital city of Bangladesh. 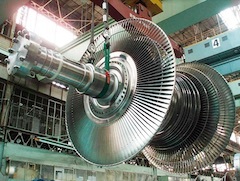 Mitsubishi Hitachi Power Systems, Ltd. (MHPS) announces that the steam turbine generation systems supplied for the Sanmen and Haiyang nuclear power plants in China have cleared all functional, safety confirmation, and other required performance tests. Mitsubishi Hitachi Power Systems, Ltd. (MHPS) has received an order to supply an M701S(DA)X gas turbine, steam turbine, and power generator for Chinese steelmaker Maanshan Iron & Steel Company, Ltd.
Mitsubishi Hitachi Power Systems (MHPS) has achieved a major milestone in the global Power Generation sector, securing 2018 market share leadership in global orders for heavy duty gas turbines (100 MW and above). 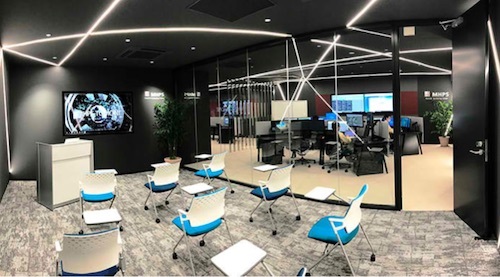 Mitsubishi Hitachi Power Systems, Ltd. (MHPS) has established a Remote Monitoring Center (RMC) in its Nagasaki Works in Nagasaki. 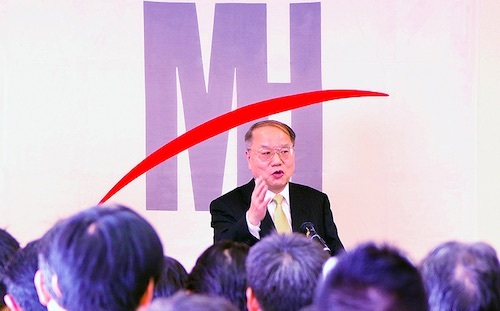 Mitsubishi Hitachi Power Systems, Ltd. (MHPS) President and CEO Kenji Ando delivered an address to employees, commencing the New Year. MHPS Announces its 2018 "Best Partner Awards"
Mitsubishi Hitachi Power Systems, Ltd. (MHPS) has presented certificates of appreciation to four companies that, among its many suppliers, made especially noteworthy contributions to its business operations during 2018. Mitsubishi Hitachi Power Systems, Ltd. (MHPS) announces that the steam turbine generation facilities supplied for the Haiyang Nuclear Power Plant in China have cleared all functional, safety confirmation, and required performance tests, and a handover was made on December 11. Mitsubishi Hitachi Power Systems (MHPS) announced today that a leading Midwest US utility has ordered the new super-intelligent M501GAC Enhanced Response gas turbine. Mitsubishi Hitachi Power Systems, Ltd. (MHPS) has received trainees from Vietnam&apos;s state-owned power utility Vietnam Electricity (EVN). Mitsubishi Hitachi Power Systems, Ltd. (MHPS) has received a full-turnkey order from Taiwan Power Company (Taipower), a publicly owned electric power provider in Taiwan, for refurbishment of equipment at two thermal power plants: the Nanpu Power Plant in Kaohsiung and Datan Power Plant in Taoyuan. 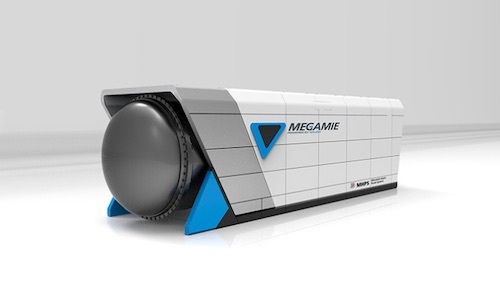 Mitsubishi Hitachi Power Systems, Ltd. (MHPS) has decided on the series name "MEGAMIE" for its pressurized hybrid power generation system that integrates solid oxide fuel cell (SOFC) stacks with micro gas turbines (MGT), developed for the commercial and industrial market. 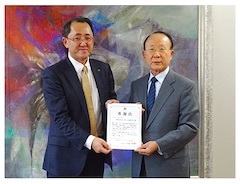 Mitsubishi Hitachi Power Systems, Ltd. (MHPS) received an order from India&apos;s public sector utility NTPC (earlier known as National Thermal Power Corporation) Limited for additional installations of flue-gas desulfurization (FGD) systems in the Mouda-II and Rihand-II&III coal-fired power plants. 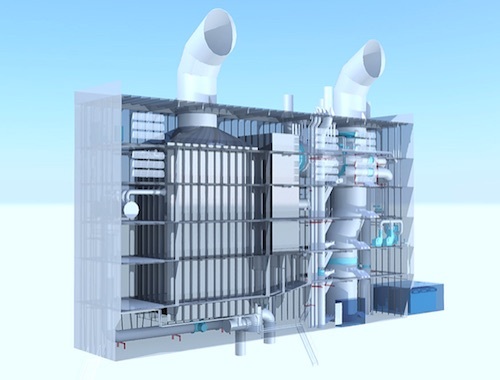 MHPS has concluded a second Long-Term Service Agreement (LTSA) for the Ras Laffan C IWPP in Ras Laffan Industrial City, The State of Qatar, covering eight MHPS&apos; M701F gas turbines currently in operation at the gas turbine combined cycle (GTCC) power generation facility. Mitsubishi Hitachi Power Systems, Ltd. (MHPS) has signed a memorandum of understanding (MOU) with State Joint Stock Company Uzbekenergo of Uzbekistan and Mitsubishi Corporation under which the three firms will collaborate in a comprehensive service and maintenance program (CSMP) for power plants owned by Uzbekenergo. 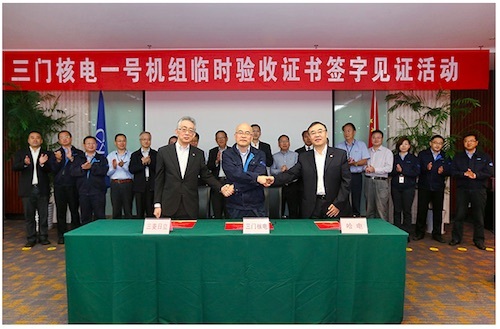 Mitsubishi Hitachi Power Systems, Ltd. (MHPS) announces that the steam turbine generation facilities supplied for the Sanmen nuclear power plant in China have cleared all necessary functional, safety confirmation, and performance tests, with a signing ceremony held on October 11. 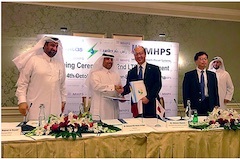 Mitsubishi Hitachi Power Systems, Ltd. (MHPS) marked the official opening of its office in Qatar with an event attended by senior government officials, members of the diplomatic corps, and prominent businessmen representing the energy sector. 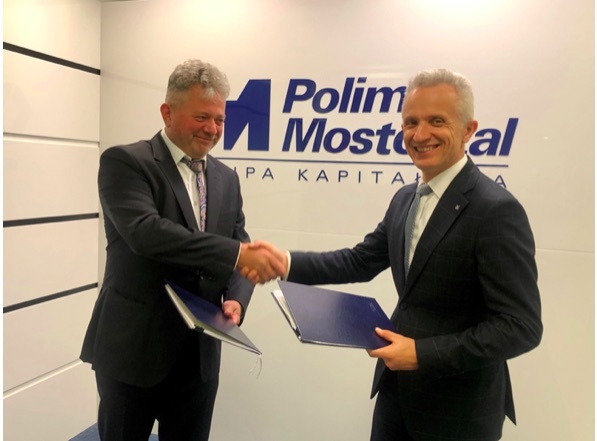 The aim of this reorganization is to utilize the maneuverability of MHPS-IDS to provide industrial-use customers with solutions to resolve various issues. 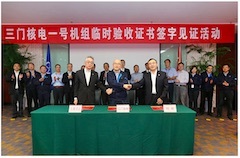 On August 28, MHPS signed a memorandum of understanding (MOU) with China&apos;s Dongfang Electric Corporation and Sichuan Provincial Investment Group Co., Ltd. pursuant to plans for a model project adopting the latest J-Series gas turbine at a thermal power plant which Sichuan Provincial Investment Group intends to build in the province. The scrubber which was developed by those two MHI Group companies features a rectangular shape that realizes superior space saving essential for onboard installations. 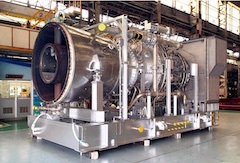 Mitsubishi Hitachi Power Systems, Ltd. (MHPS) has applied MHPS-TOMONI, its digital solutions service that utilizes leading-edge technologies to optimize thermal power plant operations, at Soma Energy Park, a pulverized coal and biomass co-firing power plant in Soma-shi, Fukushima Prefecture Japan. 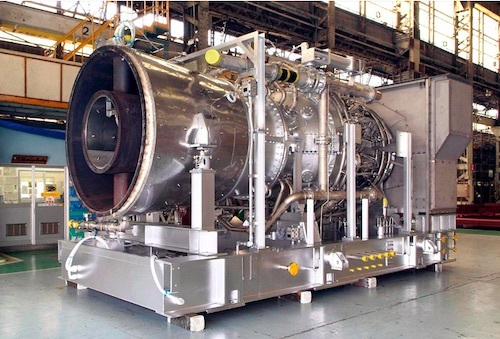 Mitsubishi Hitachi Power Systems, Ltd. (MHPS) has received an order for two sets of steam turbine power generation systems for Nghi Son-2 thermal power project in Thanh Hoa province, Northern Vietnam, led by Marubeni Corporation and Korea Electric Power Company (KEPCO). Mitsubishi Hitachi Power Systems (MHPS) today announced their continued leadership of the global market for gas turbines.